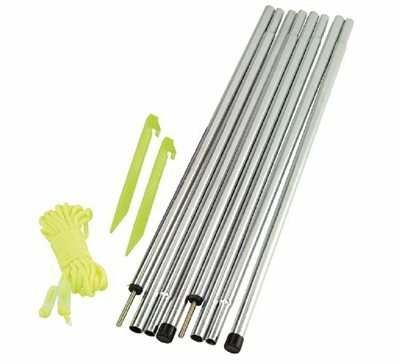 The Upright Pole set from Outwell is ideal for those who want to fashion their own tent, the poles would be particularly good for special forces, or even as a spare kit for the leisure camper in the event of an emergency. Good clear description on the website, easy to order and the parts were dispatched immediately. The packaging was substantial, and the parts were exactly what I wanted..
Great addition to our camping gear, transformed front door of Hartford XL to canopy/porch shelter ideal for some protection from the elements to sit under.